With Roslyn, C# developers now have a powerful tool which makes modifying the source code a breeze. At Stack Exchange we’ve invented our own little set of extension to C# for localization purposes, previously described on Matt Jibson’s blog. The project originally supported ASP.NET MVC views only, but we’ve expanded it to C# source files (.cs) because our projects have strings that simply don't fit into MVC views and rendering a view for each string is overkill. In this blog series I’ll try to highlight some of the fun things I've learned on this .cshtml ->.cs journey. That's all for now. 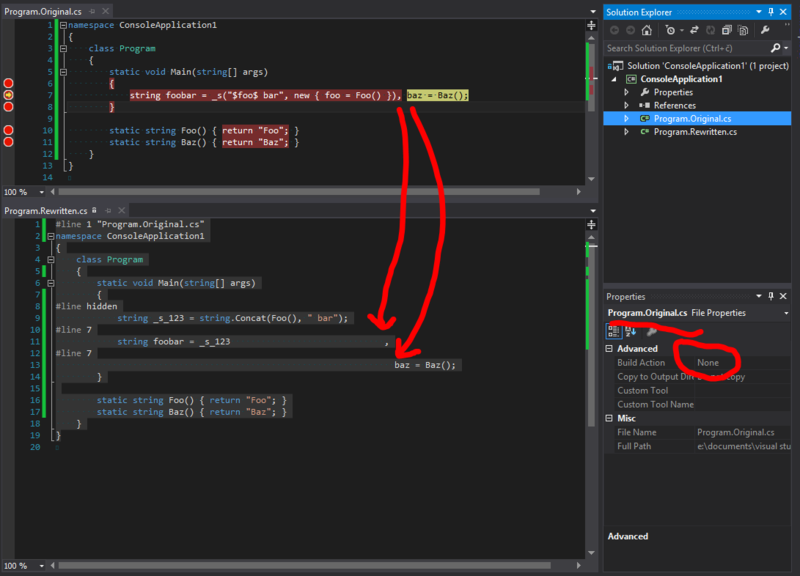 Next time in Localization Adventures, be ready to get you hands dirty with some Roslyn.